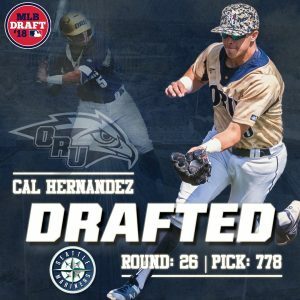 With their 26th round MLB Draft pick, the Seattle Mariners select Cal Hernandez, 3rd baseman out of Oral Roberts University. Atta boy Calvin!! 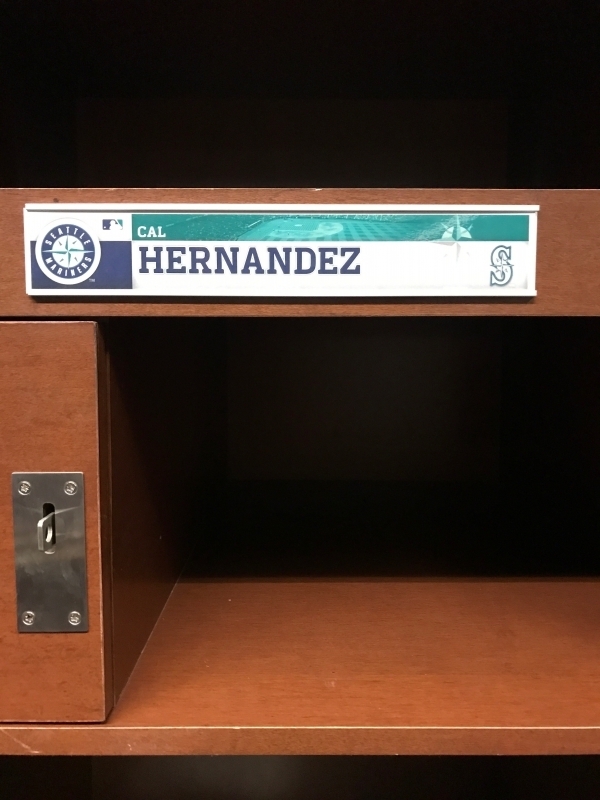 The Mariners get a much-needed third base prospect with Cal Hernandez, a junior from Oral Roberts University. Hernandez was All-Summit First Team last year after leading the conference in doubles and improved on his numbers over this season; this year, he helped lead the Golden Eagles to a conference championship and was named tournament MVP. In 2017, Hernandez was named to the All-Summit League First Team as a third baseman ranking third in the league with 44 runs scored in his first season at ORU … Started 57 games, with all but one at the hot corner, and posted a .299 average with 11 extra-base hits, one home run and 10 doubles … Drew 26 walks for the year and drove in 27 runs … Belted his only home run of the season hitting from the left side at home against Wichita State March 21 … Went 3-for-4 with three runs scored in his ORU debut against Little Rock … Posted multiple hits in four-consecutive games at Omaha and Oklahoma State going 9-for-17 from April 15-18. As a junior at ORU in 2018, Cal was again named to the All-Summit League First Team as a third baseman and had 12 doubles, 34 RBI, posted a .329 batting average, and had .426 OBP. Defensively, he posted a .936 fielding percentage and even made the ESPN top 10 plays of the day. Played one collegiate season at Cisco College under the direction of head coach David Whitey in Cisco, Texas … Tallied a .327 batting average in 58 games for the Wranglers as the team reached the NJCAA World Series in 2016 … Posted 12 doubles, three triples and four home runs adding 37 RBI and 27 walks. Prepped at Coppell High School for a team that ranked in the top 10 in the nation … Was named Offensive Player of Year, All-State Second Team and First-Team All-District with the Cowboys. Cal is also obviously a Dallas Tiger for life as he was born with a Tigers jersey on. Proud of you Cal!! Best of luck in pro ball this Summer!